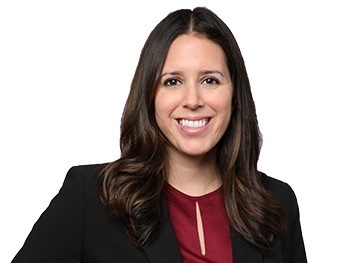 Alison Carrizales is an associate in the firm's Commercial Finance Group. Ms. Carrizales' practice focuses on the representation of banks and non-bank financial institutions in structuring, negotiating, and documenting a broad range of commercial finance transactions, including first and second lien credit facilities, asset-based loans, acquisition and working capital financings, recapitalizations, refinancings and other complex financial transactions. She also has experience representing corporate borrowers and leading private equity sponsors in a variety of financing transactions. Ms. Carrizales has also worked on various pro bono matters, with a focus on immigration and refugee issues. Prior to joining Goldberg Kohn she was a Banking and Finance associate at Weil, Gotshal & Manges LLP. Ms. Carrizales is admitted to practice in Illinois and New York. She received her law degree from Cornell Law School in 2013, where she served as a Managing Editor of the Cornell Law Review and an Associate of the Legal Information Institute Supreme Court Bulletin. She received her B.A. from the University of Michigan in 2008, with a double major in Latin American and Caribbean Studies and Cultural Anthropology.